Mavy and Cassy Legaspi are undoubtedly one of local showbiz's favorite twins. 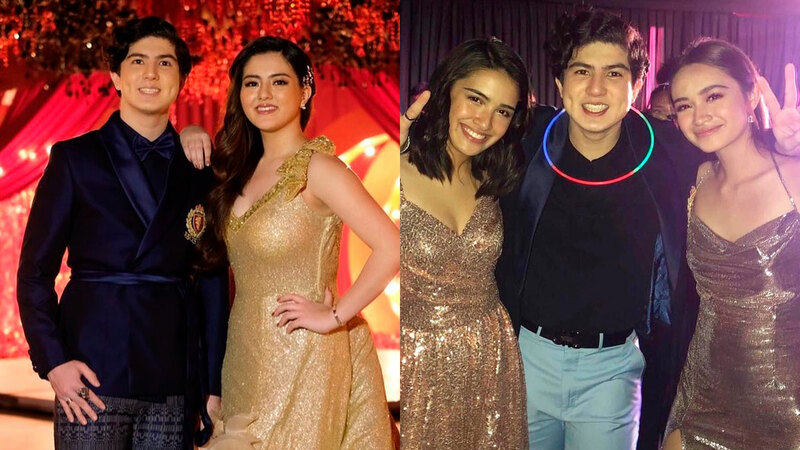 Their grand party, held on January 12, 2019, at One Canvas Events Place, was definitely star-studded! But only the people closest to Zoren Legaspi and Carmina Villarroel's children received invitations to the affair. Among their guests: (left to right) Kathryn Bernardo, Margaret Ford Planas (Daniel Padilla's sister), Cassy, Ria Atayde, Sofia Andres, and Bianca Sing (lifestyle blogger). A number of celebrity kids showed up, too. Dani is the cousin of Mavy and Cassy. Her dad is Kier Legaspi, Zoren's brother. Lorin Gutierrez (second row, left), daughter of Ruffa Gutierrez, was also present. She was spotted with (first row, left to right) Luigi Teodoro, Alexa Ilacad, Andrea Brillantes, and Kyle Echarri; (second row, left to right) Angelina and Sam. Fellow GMA Artist Center talents also attended. Remember Dian Serranilla, the MOA debutante? Also in photo: Hazel Naval (left) of Nice Print Photo.